The following applies to all non-exempt employees including regular employees, student workers, and RIT temporary employees. Employees will be paid from the minute they punch in to the minute they punch out. Employees will be required to punch out and in for all meal periods. Schedules do not affect the calculation of hours worked; schedules are for information only. Timeclocks - staff can use the bar code on their University ID and swipe at the timeclocks. Students have a unique badge number for each job they have-- a combination of Oracle number and job number. It must manually entered by pressing the * key, keying the number, and then pressing "enter". Helpful hint You may select F1 on the time clock to view your last several punches at that clock. Web-based Punch Form - must submit request, including IP address, to Sean Cartwright stcfa@rit.edu or (585) 475-2819. Directions will be emailed. Access to personal timecard - submit Kronos Security Form, authorized by employee's supervisor, to Sean Cartwright. You will be provided with directions for setting up and using software. Paper timecard - the least preferred method; must be retained in the department for seven years; must accurately reflect actual time worked. What policies and laws govern record keeping requirements for non-exempt positions? I have set up schedules in Kronos and pay my employees from them; do I have to delete all these schedules? No, you do not need to delete the schedules, but the option to pay employees from the schedule is no longer available. The employee must be paid in accordance with the time recorded in Kronos. Schedules do not affect the calculation of hours worked; schedules are for information only. Can I adjust the employee's schedule during the work week (Friday - Thursday)? Yes, the schedule is used as a guideline for normal working hours. The shift start and end times can be adjusted as needed with supervisor or management approval. The hours worked must be accurately reflected in Kronos. I have several employees that start a shift at the same time; this could cause a line at the timeclock when punching in. We are working with the departments to look at the volumes that could potentially occur at specific clocks. Possible solutions include adding additional clocks, changing the location of where the employee punches, or allowing the employee to punch out a minute later at the end of the shift to compensate for the late punch in. I have employees that may run RIT errands for me on their way home from work or during their lunch break. Do I need to pay them for these situations? Yes, this type of job related activity is considered time worked and must be recorded as such and paid. These situations should be discouraged. Are employees allowed to take work home? Work performed at home is time worked and must be recorded as such. Employees must be paid for all work performed at home. This practice is discouraged. What happens when an employee exceeds the money allocated from a grant? Employees must record and be paid for actual hours worked. The supervisor should monitor the hours worked to ensure that the employee does not go over the allotted amount. Employees must be sent home and work discontinued if additional overtime money is not available. What do I need to do if my employee forgot to punch in or out? In these cases, the supervisor can add the time punch. A Time Card Change Authorization is required for all time punches that are edited. This form must be completed and signed by both the employee and supervisor, or an email from the employee's/student's DCE account can be accepted in lieu of the signed document. Copies of the before and after timesheet must be attached to the form. The documentation is to be maintained in the department for seven years. What if an employee has not been paid properly in a previous pay period? A Payroll Change form must be completed and forwarded to the Payroll department. What if the employee works unauthorized overtime? Does the department have to pay it? Yes. Employees must be paid for time worked, whether the work is authorized or not. Supervisors are encouraged to monitor employees' work schedules to avoid these situations. A supervisor may dictate a change in behavior of an employee who continuously has overtime, however the employee must be paid. Can an employee receive compensatory time in lieu of overtime? No, employees must be paid for time worked including any that is overtime eligible. Travel to and from home to an employee's regular assignment cannot be counted as time worked. Travel between sites during the workday is work time. Travel on a special one day trip out of town, in excess of the ordinary commute, is work time. In overnight, out of town travel, travel during regular work hours is work time, regardless of whether on a weekday or weekend. However, time as a passenger, outside regular hours on overnight trip is not considered work time. All work during any travel is work time. What is the procedure on meal times? The RIT policy states that an employee who works a shift of more than six hours must get a thirty minute uninterrupted meal break. Employees are required to record the beginning and end time of their meal period. If a meal period is cut short or interrupted for more than a few minutes the entire meal period must be paid. Can an employee eat lunch at his/her desk? While an employee may eat at his/her desk, it must be clear that the employee is not available to do work. Can we still use paper time cards? Yes, whenever paper timecards are used, the employee and the supervisor must sign them. The supervisor will enter the employee's time into Kronos. The use of paper timecards is discouraged, however if they are used they must be retained and not destroyed until you are given notice from Human Resources. From time to time I have employees that need to adjust their workday to accommodate personal errands. They would like to take their meal break at the end of their shift. Can I approve this? No. NYS Department of Labor states, "Employees who work a shift of more than six hours starting before 11 a.m. and continuing until 2 p.m. must have an uninterrupted lunch period of at least half an hour between 11 a.m. and 2 p.m."
What documentation must be retained in our department? 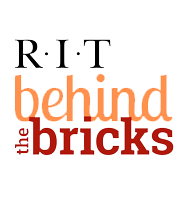 RIT must retain all relevant documents pertaining to time worked including paper time cards, Time Card Change Authorization forms, and any other time-related correspondence. If students email me with their punch information (i.e. - missed a punch) do I still need them to sign the Time Card Authorization form? No, as long as the email comes from an RIT DCE account. My employees are not near a time clock or computer to punch out/in for lunch. How do I document this? Some areas use a daily activity log or a paper time sheet to record this time and in both cases the employee and the supervisor must sign the document. It must be an accurate reflection of time out/in. This documentation must be retained in the department for seven years. My employees enter their time on a weekly basis. Is this acceptable? No, time must be recorded on a daily basis (at a minimum). Actual time, to the minute should be recorded. The best way to accomplish this is using a timeclock, but if using the Kronos application on the desktop, the employee should enter the exact times in and out. How do I record time for my employees for RIT sponsored events? If the employee is expected, encouraged, and/or required to attend the RIT sponsored event, the event is considered time worked and the time must be recorded and paid. (e.g. team-building sessions). If departments allow employees to attend RIT sponsored social events that extend the meal period and where no work is required, the event time should be recorded as the normal meal period and the additional time should be recorded as 'Approved wPay'. (e.g staff picnic, the employee punches out for the event and punches in when they return from the event and the supervisor records 'Approved wPay' for the allowed time missed). If the employee is not scheduled to work but chooses to attend the event on a completely voluntary basis, the employee is not paid. (e.g. 2nd or 3rd shift employees that attend the staff picnic). What is RIT's policy on time off for personal appointments? Refer to the Sick/Personal Time information on the HR website.